Northwest University recognizes that a greater number of students are choosing to pursue education at home rather than through traditional high school programs. 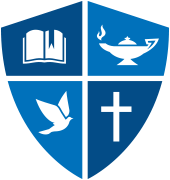 Northwest University welcomes homeschooled students and appreciates the contributions they bring to the NU community. Transcripts prepared by an individual educator must include information about curriculum and reading lists included with the homeschool program. Admission for students that submit transcripts from a home educator will weigh more heavily on test scores, demonstrated written ability, and academic curriculum. In addition, applicants may be required to submit a G.E.D. if their academic records are of marginal quality. Please contact the Office of Admissions for further information and to receive an admission packet. The toll-free number is 1-800-669-3781 or email us at admissions@northwestu.edu.